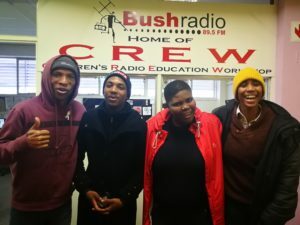 On the 12 July, the FunDza team was on the airwaves on Bush Radio 89.5 FM, to speak at length about the Literacy Fun Walk that will take place in Khayelitsha’s Khulani Library to Luhlaza High School. At the helm of the literacy fun walk is the goal of promoting reading for enjoyment and writing for expression in book scarce communities. 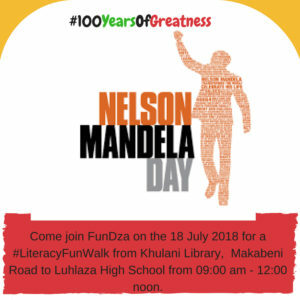 The literacy fun walk is an attempt to follow intently in the incredible footsteps left by formidable leaders of our time such as Tatu Rholihlahla Nelson Mandela. 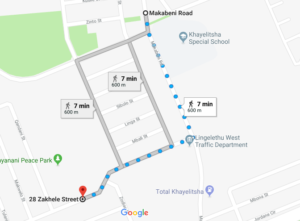 The walk is scheduled to start at exactly 09:00 am at Khulani Library and will end at 12:00 noon at Lihlaza High School. Swing by to support, should you be in the area. Thank you Bush Radio for allowing us this fantastic opportunity to engage with the listeners.